Dark tones, comfortable bedding and large desks highlight your room's amenities and décor. You'll find that each room has either a balcony or patio with many offering scenic views of the ocean. 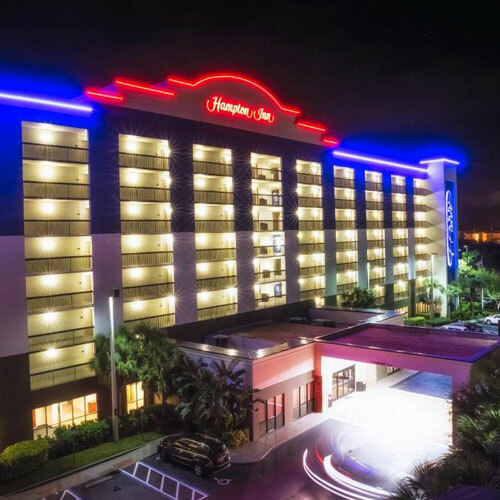 Not only is the hotel located close to the Kennedy Space Center and Port Canaveral, the waterfront property also has its very own path that leads directly to the beach. 150 units. 8 stories, interior/exterior corridors. Accessibility (Call). SR A1A (Atlantic Ave), 0.5 mi s of jct SR 520. 3425 N Atlantic Ave 32931. The Florida Green Lodging Program recognizes environmentally conscientious lodging facilities across the state.